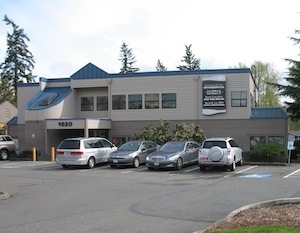 Recognized as one of Washington's top Orthodontists by Seattle Met Magazine, we are pleased to have the opportunity to provide you and your family with the highest quality orthodontic care using the latest technology. Our dedicated team is committed to creating a fun, lively, and enthusiastic office while offering excellent service and treatment. We know that your time is important, and consequently we pride ourselves on running on time so that you may keep to your schedule. Open communication with parents and patients is vital to effective orthodontic care. We want our patients and their families to feel comfortable in all aspects of their treatment and encourage them to ask questions throughout their orthodontic treatment with us. We value honesty and integrity in all that we do, and treat each person as we would want to be treated. We truly enjoy what we do - creating beautiful smiles. We appreciate that our patients have chosen us for their orthodontic needs. Need to make a visit to the orthodontist? Call us at 425-235-4830 to schedule an appointment. Discover what appliances we use to help straighten and correct your teeth's alignment. First time visiting Sekijima Orthodontics? Check out our first visit page to see how we accommodate new patients. Learn more about Dr. Sekijima and his skillful staff. Our practice has been serving patients for twenty-five years.